What is BMC Remedy 9? Companies looking for an innovative IT service management tool designed for mobile devices do not need to look further than BMC Remedy 9. With this application’s detailed reports, beautiful visualizations, and social features, employees, and IT personnel will see a marked increase in their productivity. This powerful and innovative tool can definitely revolutionize the digital workplace. 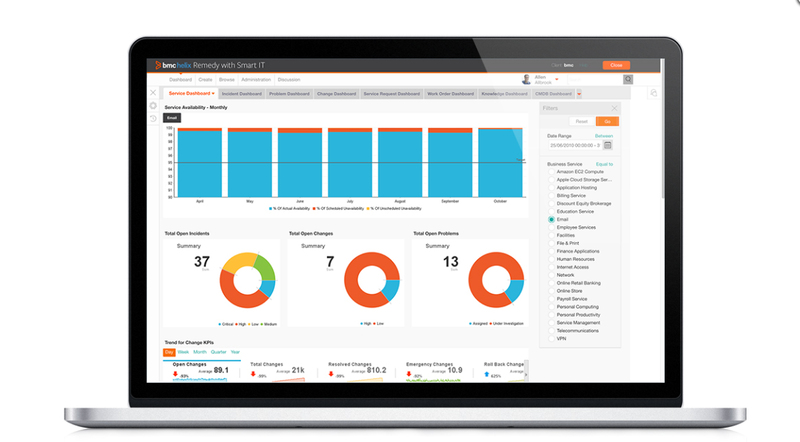 The main benefits of BMC Remedy 9 are its mobile support, stunning and intuitive reports, built-in ITIL processes, and drag-drop functionality. Users who decide to use the BMC Remedy 9 platform can expect multiple benefits. Remedy 9’s people-centric user experience helps improve efficiency and productivity among employees. The platform’s stunning reports and visualizations result in intuitive data analysis, while its built-in ITIL processes help out in coming up with reports and metrics. Users have constant access to the platform because of its native mobile apps, and can expect visualized analysis on impact, and collision detection on auto-pilot. Calendars are also equipped with drag-drop functionality.